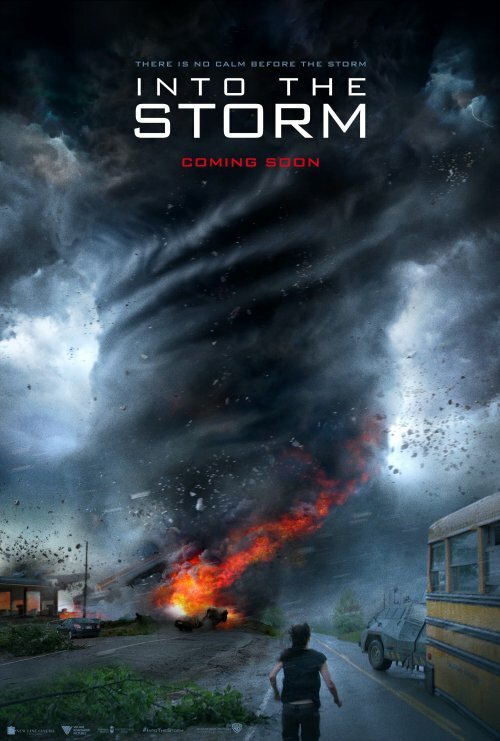 You are here: Home » Will Into the Storm be Twister 2? Yesterday the first teaser trailer hit the web for the film, Into the Storm. From the synopsis it comes across as something like a remake of the 90’s classic, Twister. On the other hand if you watch the trailer it comes across as some bizarre horror film from the likes of Eli Roth. It’s something we haven’t seen in a while. Not a disaster movie as they come out every “holiday season” when the brainless, popcorn friendly blockbuster season hits. This one seems to be a good old fashioned natural disaster type. It seems to be just a modern take on Twister. Using today’s techniques that came into the film vocabulary from the 90s film, The Blair Witch Project. I would expect lots of footage from “mobile phones” and “camcorders”, assuming people use these things today as mobiles seem to be what the cool kids are using! It may turn out like Twister or the early 2000s film, The Core. That was advertised as a scientifically accurate film. Well they got it right about the planet’s inner structure but that’s about it. One of the films made money and the other, well, made it to the £1 bin very quickly after being released at the cinema. Currently, from the poster, synopsis and trailer it feels like we are being sent mixed messages. The trailer makes it feel like a nasty horror film set in the sewers whilst being chased by an armoured, killing machine. The poster, on the other hand, makes it look like someone has discovered an old copy of Twister and gone “Let’s use this as inspiration“. Even the poster is reminiscent of that film! The only difference seems to be that we have someone running towards the twister instead of away from it. Exploding into UK cinemas August 22, 2014.